One possibility is that as they were sewn on, the thread may have been pulled slightly and as you progress around it compounds the ripple effect. She can try to pull one area close to the end and see if it will straighten out. If so, she will have a lot of work to do to make it flat, and will require more beads to finish. tight, yet I still got this curling effect. 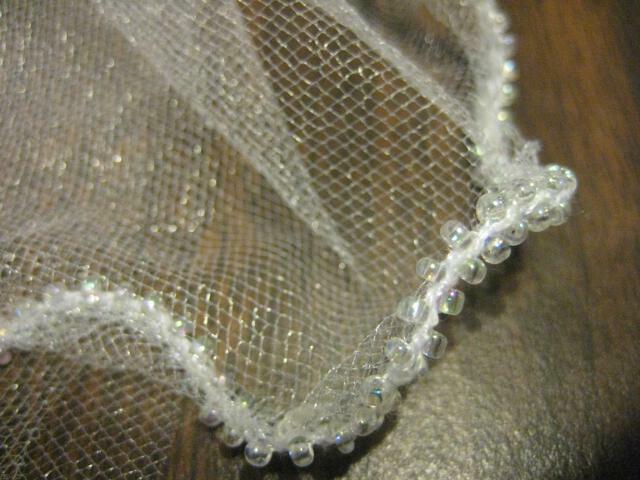 It still baffles me, as I see ready made veils with beaded trim and a smooth finish. Obviously the wedding is long over, but I'm still interested in solving this puzzle! Thanks for the input. 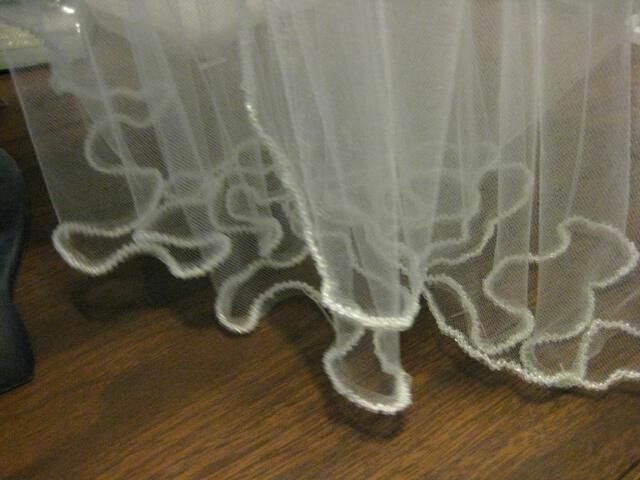 I don't know much about this but what about horsehair braid (the netting stuff). would that have made it a little more straighter? It was on the bias, right? Common for the bias to stretch like that isn't it? Sorry, keep asking questions instead of giving answers. 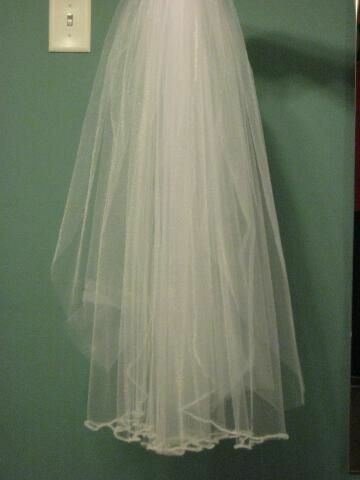 Maybe you could see if you went into a bridal shop and peeped at a veil already made. Good suggestion. Horsehair braid probably would give it some body.